Leonardo made his dreams a reality by helping to bring clean water to every child in his community. 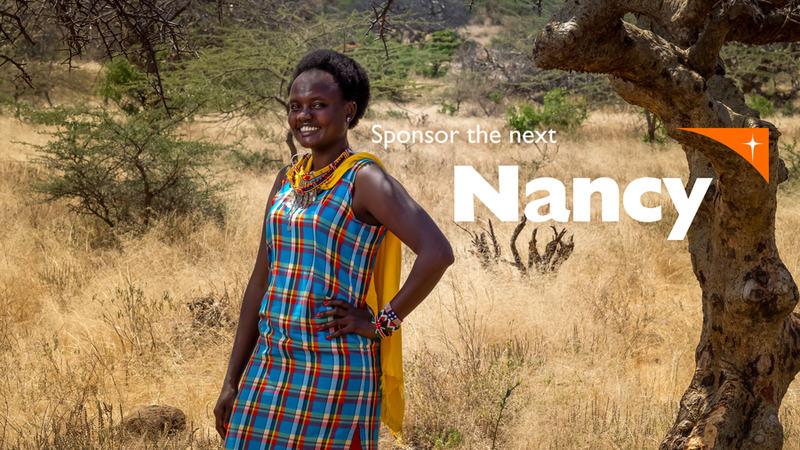 Watch how child sponsorship fulfiled a dream! Or keep scrolling to read his story. A boy living in poverty gets a better life through child sponsorship and education. Meet Leonardo Regalado. 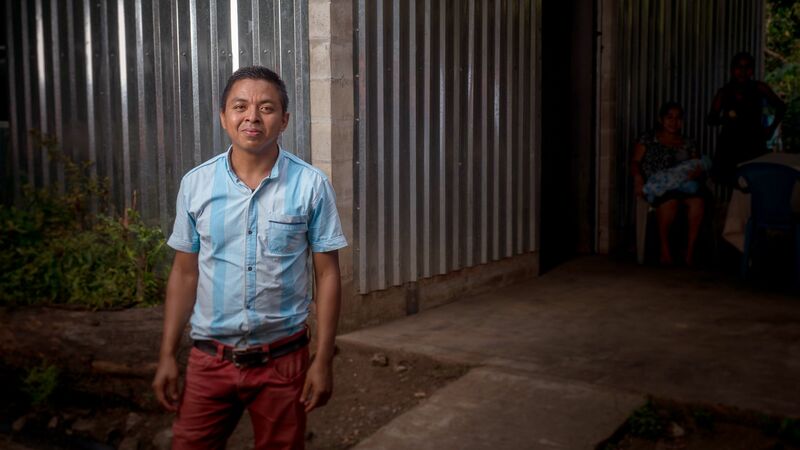 He grew up in the rural San Julian area in the middle of El Salvador&apos;s bloody civil war with no reliable water supply. His father was a farmer, growing corn and beans to feed his family and sell at market. Dena, his mother, sold fruit from their trees to help get enough food for their family to eat. Often it wasn&apos;t enough. Community leader, achiever, role model, developer, professional. 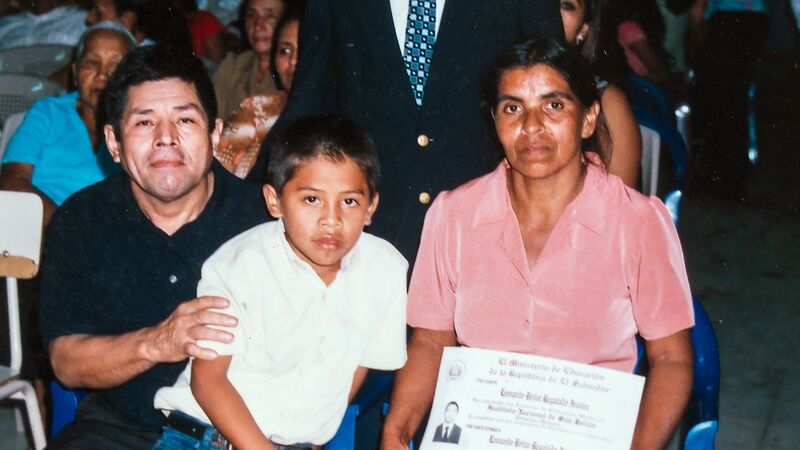 Leonardo was seven when he became a sponsored child. ‘I thought it was good because it meant I could go to school,’ he remembers. Because child sponsorship funded his school supplies, shoes, and uniform, his family could spend their limited income on food and water, and he could still attend school. Child sponsorship also helped Leonardo’s family with food and child nutritional education for his mom to keep the children growing strong. Leonardo was always bothered that there were fresh, clean, natural springs coming from the mountains near his home, but they never flowed consistently to his community. Instead, they had to walk to buy water in town, or risk getting it from the polluted river nearby. It was an injustice that he was determined to change. Growing up, Leonardo spent half his time at school and half his time in the fields helping his dad. ‘He was always a hard worker,’ remembers his mom. He worked jobs on other farms to support his family, picking bananas, oranges, mangoes and corn. His mom remembers the day he came back bug-bitten and exhausted, resolving that he would not grow up to be a farmer. He was going to be a professional. Leonardo is the type of person who doesn’t give up on his dreams. And it was with World Vision child sponsorship that he discovered his potential. Leonardo teaches other children to dream bigger. He remembers how powerless he felt as a young person to make changes like bringing reliable clean water to his community. Fifteen years later, now he’s a leader making that change. He’s grateful for his sponsor. 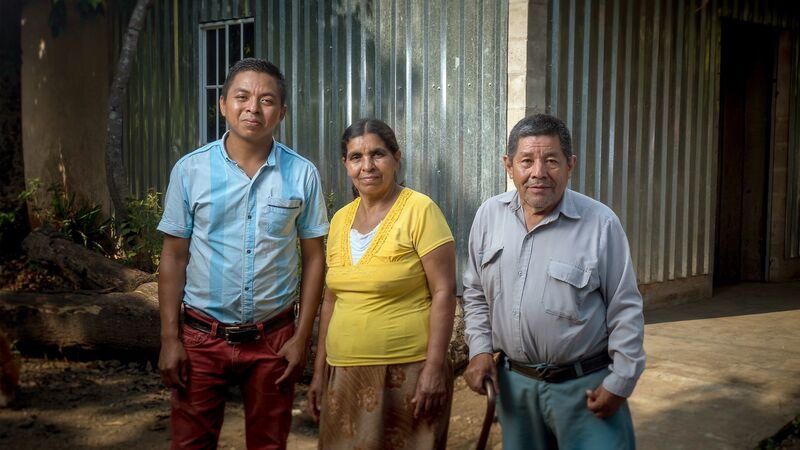 The sacrifice of his sponsor motivated him to give back and become a community leader. Kids who didn’t have a sponsor often didn’t finish school and chose lives of crime or tried to migrate. 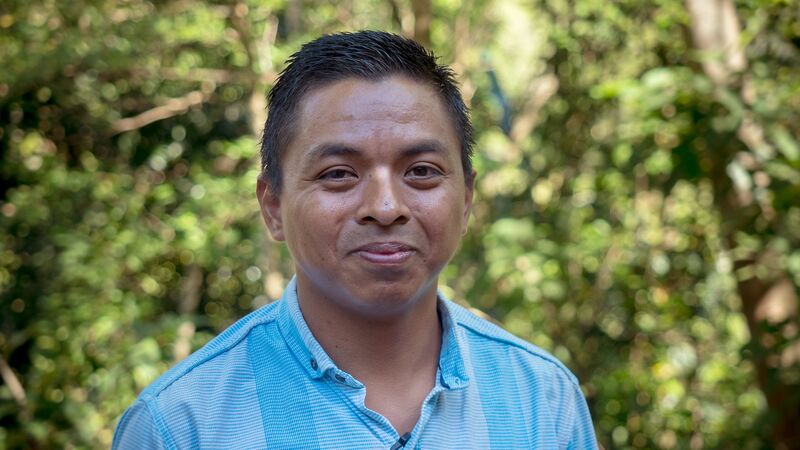 Leonardo has lost friends to the gang violence that has gripped El Salvador, but the lessons and values he learned from World Vision have set a different path for him. He calls World Vision ‘his second school.’ Their training taught him a culture of peace, service and integrity, and values essential to the person he is today. It’s what he teaches young people. It’s what he lives every day. As he grew, he spent more and more time with World Vision. At age 14, he took World Vision’s community leadership training for young people to recognise community problems and learn how to organize the community to solve them. 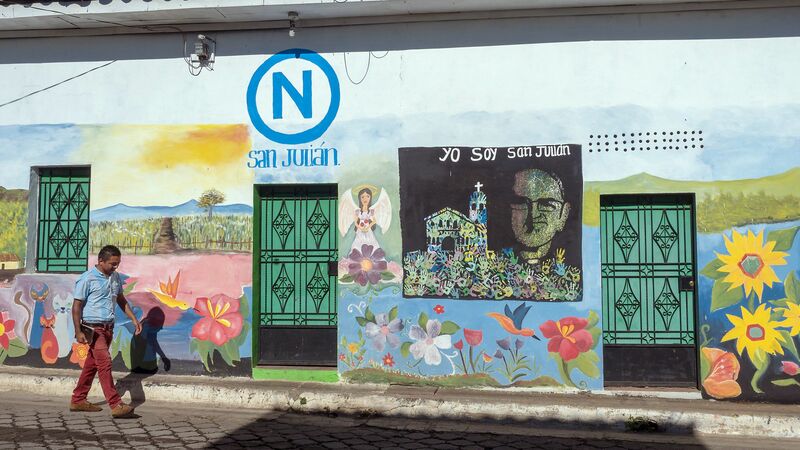 As a teenager he served as President of the Child and Youth Board of San Julian. He taught other children to dream bigger for themselves and their communities, and to take the practical steps to make it happen. He encouraged other kids to stay in school. A Voice in His Community. Leonardo taught other children to dream bigger for themselves and their community. Leonardo volunteered with World Vision. 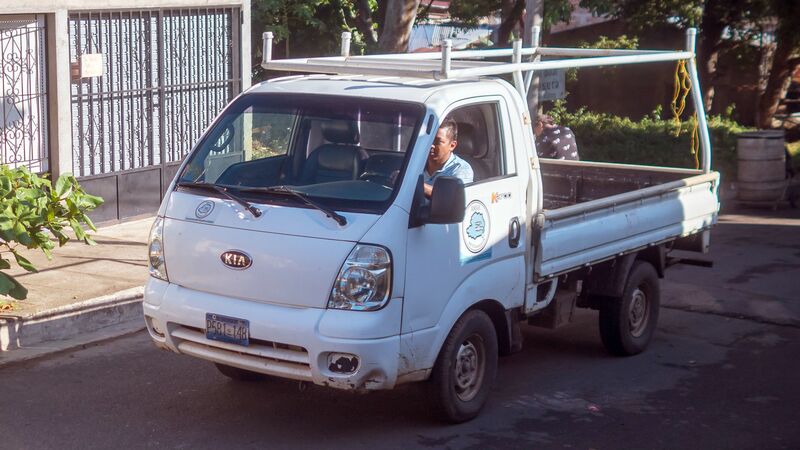 At age 17, he volunteered with World Vision to monitor and evaluate their programs, working his way through university to gain his bachelor’s degree. He knew he wanted to become someone who could help his community in practical ways. Serving his community in practical ways. Leonardo has broken the cycle of poverty. Now, as manager for the water utility, he has found efficiencies within the same budget to make sure the pipes and pumping station get clean water out to all communities. No one should have to go without clean water. 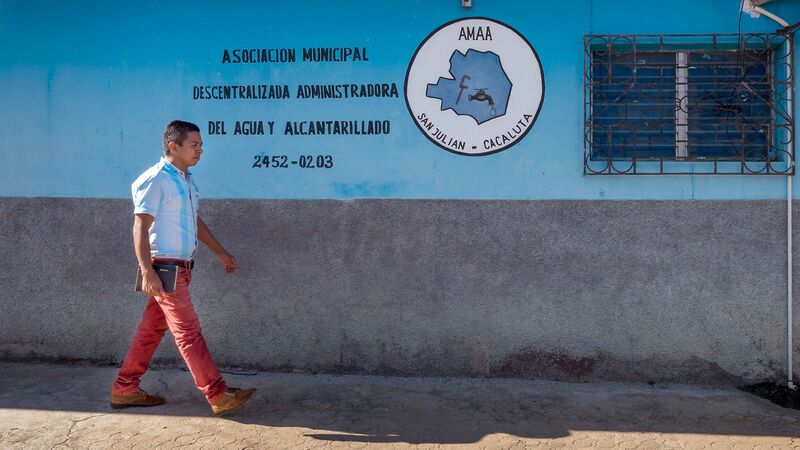 ‘It’s been my dream that my children would be respected and useful to society.’ He’s recognized throughout San Julian for the work he’s done to make the community better. As she reflects on how proud she is of her son, tears well up in her eyes and spill down her face. ‘These are tears of joy,’ she says. Every 60 seconds, a family gets water, a hungry child is fed, a family receives the tools to overcome poverty. Dare to dream bigger for a vulnerable child.